I Used To Have A Radio Show: Aaron Rand The Last Montreal Radio Legend? Aaron Rand The Last Montreal Radio Legend? There has been a lot of reaction to Aaron Rand’s last week at the “Q”. It’s amazing how many people have been revisiting their 1980s radio nostalgia in preparation of Mr. Rand’s departure. And it is well worth looking back to one of the “golden“ eras of English radio in Montreal which was the 1980s. Aaron Rand told CTV today that creativity is pretty much stifled nowadays in favour of more music. You can’t argue with his point of view. It must be very difficult to do a purely music show now, especially when you have no control over what you are playing. But then again, it’s been like that for a while. I tend to believe that people tune in to be either entertained or informed. The only difference today is how there are so many other options. You now pretty much have access to just about any song ever recorded on your mobile device. There is much less dependency on someone choosing what you should be listening to, even though that is how a lot of music still gets exposed in the first place. As for Aaron Rand, he has all but promised to resurface in the near future. Whether that will be on a traditional radio station or not remains to be seen. From all that has been said, it appears Mr. Rand will be remaining in Montreal, which is great news. Rand has set up a web site where you will be able to stay informed on his future radio endeavours. Aaron Rand’s “legacy” goes way beyond Montreal. I wrote a little blurb about his departure from the “Q’ a few months back and it has become one of the most read blog entries here. It has been drawing search engine inquiries from far beyond the borders of Montreal. Does that indicate that people are nostalgic? There seems to be an appetite for old air checks of the famous CFCF 600 show. The "Aaron Rand Show" has had such a lasting impact on what were then a group of young radio listeners. For a couple of years, it was so good that you could have easily set it up as the standard to which all other radio shows ought to aim for. Times have changed. It is no longer 1986. We’ve lost so many Montreal radio legends over the past decade. We ought to appreciate the ones who are still around. It would be great if a new generation could be inspired by the creativity and yes - genius - that has been displayed by people like Aaron Rand and Paul Zakaib over the past three decades. 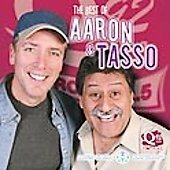 UPDATE: Check out this wonderful recap of Aaron Rand's last morning at the "Q" on Steve Faguy's Blog.